Kepler is a open source geosocial general-purpose solution that lets users share favorite places and join discussions in real-time. It can be seen as a platform where users can interact with other open data platforms searching across OpenStreetMap, Geonames among other sources. The name as the best Meteor tradition wants to remain in the space field, Kepler is inspired by Kepler space telescope a telescope that looks further new potential places in the space, moreover the project organization is inspired to the first and largest open source project built in Meteor the old Telescope(current VulcanJS). Allows users to collecting and georeferencing places on a modern web-mapping interface, describe them accurately, create relationships, sharing with other users and create a social environment. In addition to creating new place you can import pre-existing objects from Openstreetmap creating a social layer above it. 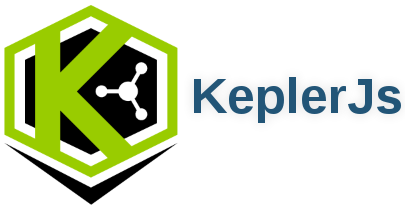 A place in Kepler can be linked to metadata from different sources automatically, it can be anything that has a geographic location fixed or movable, real or virtual. realtime: All events and changes within the platform are automatically transmitted from the server to the clients through websockets. In the near future Kepler as any open source projects will follow a community-driven evolution that will support it instead of the initial mission ad we hope it has growth beyond expectations. Distributed under the BSD-2-Clause License.